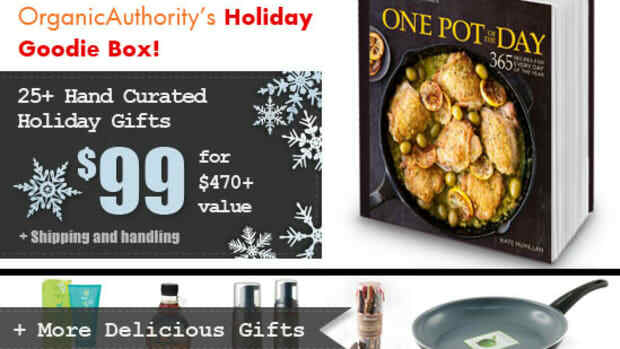 &apos;Tis the season for Organic Authority’s annual Holiday Goodie Box! Our 2014 edition is a blizzard of festive and one-of-a-kind products from 14 different brands. Stock up on gifts galore for yourself and all your near-and-dears. 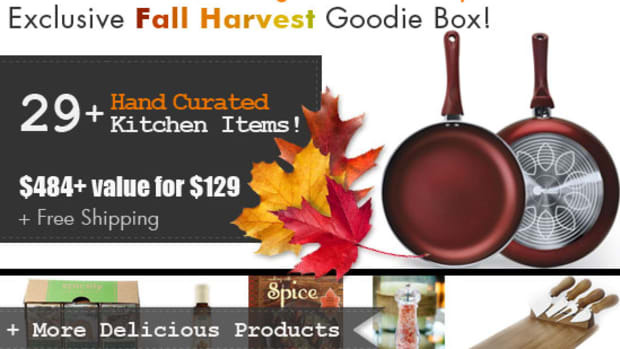 The Goodies Box is filled with eco-friendly house- and kitchenwares, entertaining accessories, sweet and savory organic treats, wellness products, luxurious beauty treats, and more. 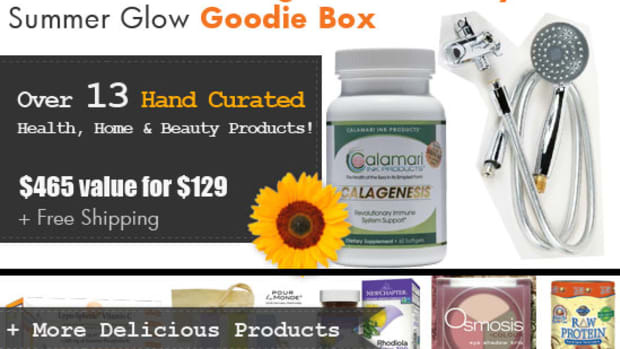 We have only 50 Goodie Boxes available, each filled with $584+ worth of products for the hot sale price of just $139.00 + free shipping! That’s a 77% discount! Beginning Monday, November 24th, we will reveal 4-5 brands per day. 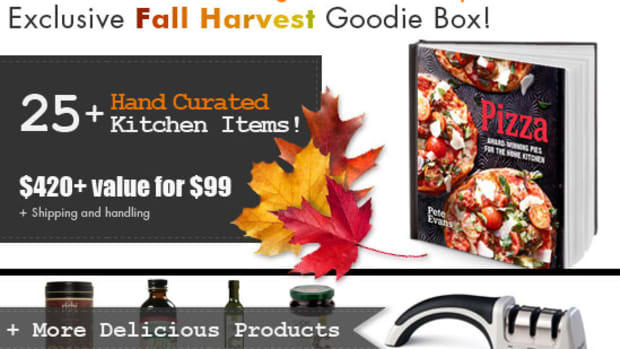 The Goodie Box will go on sale Friday, November 28th, 2014 at 8 o’clock am Pacific Time. Set your timers and mark your calendars–these will sell out fast. Buy one, two or three, for yourself and all your friends and fam! The last one sold out in just a few hours. This offer is only available to the first 50 buyers, when we are out, we are out! Check back daily to see what the big reveals are. 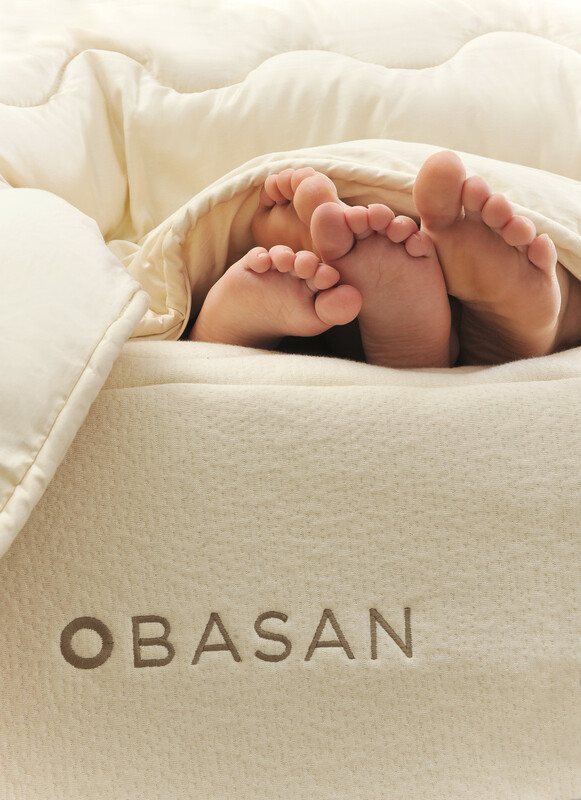 Cozy up to comfort, luxury and style with Obasan, the purveyor of organic bedding since 1995. Enjoy healthier waking hours when you make the smart, cozy choice for your sleeping hours. 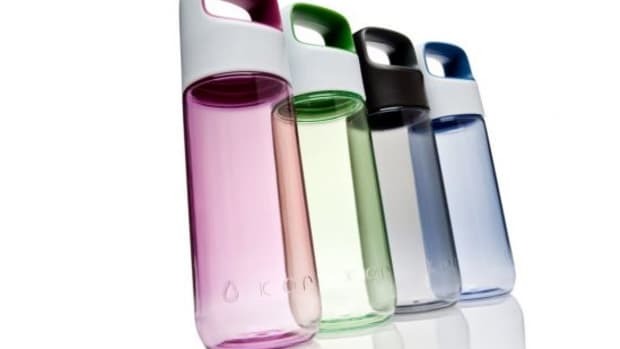 Obasan boasts a sustainable manufacturing process, recycling and reusing everything possible. All products are ethically-sourced, chemical-free, glue-free and fire-retardant-free. Materials include pure natural rubber, organic cotton, organic wool and natural wood. Gift card can be applied toward product, taxes and shipping. Customers must call the number on the gift card to order and redeem. PURE is a green citrus, close your eyes and imagine your favorite spa. NATURAL is a light citrus floral, take a walk through a rose bordered citrus grove. DIVA is a spicy vanilla, sultry, mysterious and enticingly familiar. ELIXIR is a citrus vanilla, a luxurious vanilla with intoxicating layers a fresh citrus. 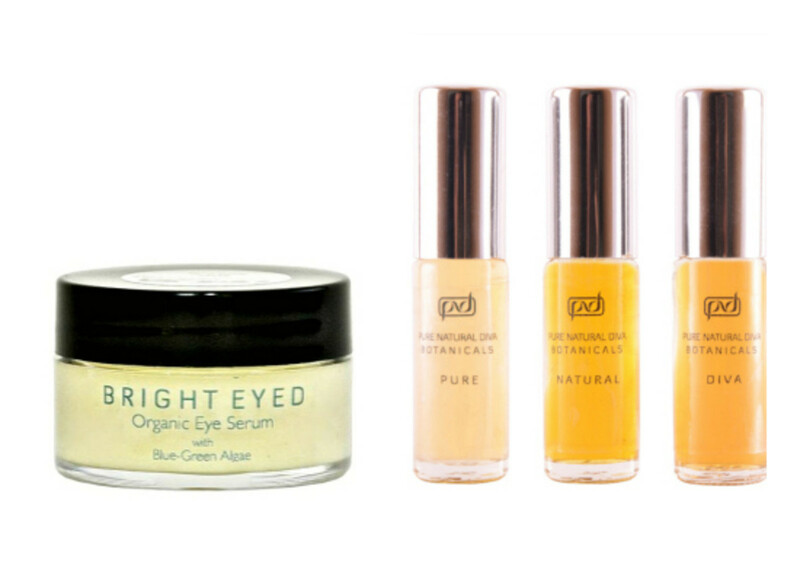 Bright Eyed Organic Eye Serum: Perfect Rehab for holiday parties. The eyes are the windows to our soul, so treat them right! Fend off fine lines and wrinkles with hyaluronic acid, lavender, blue-green algae, calendula, rooibos, pomegranate extracts and evening primrose. Nature’s superpowers work synergistically to balance, soothe, and regenerate this delicate eye tissue. 0.5oz. 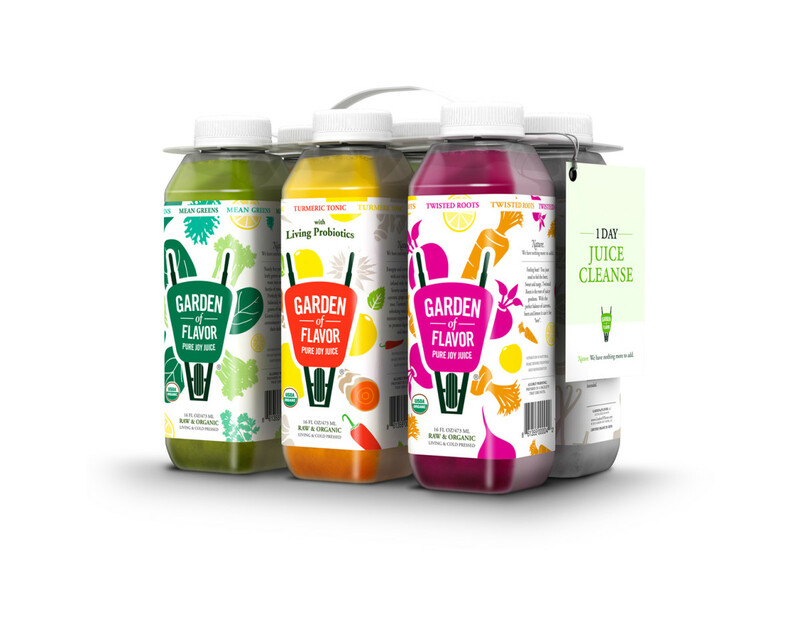 Revive, reboot and refresh with the Garden of Flavor&apos;s One Day Juice Cleanse. The brand&apos;s juice cleanse includes six organic, raw, cold-pressed juices, made up of over 20 pounds of vegetables, fruits and nuts, as well as over 1 billion probiotic cultures. Each juice is made with different potential benefits in mind, including Turmeric Tonic (with all the benefits of turmeric root, ginger and lemon), the one-of-a-kind Goji Pineapple, and the most popular juice, Mean Green (that includes approximately five pounds of organic, alkalizing green vegetables). Whether you&apos;re looking to kick-start a new healthy lifestyle, get ready for a holiday party, or recover from the holidays, Garden of Flavor&apos;s One Day Juice Cleanse floods your body with the living enzymes, vitamins, minerals and nutrients your body craves--just as nature intended. Gift card includes overnight shipping within the Continental United States. Snowflake Slate Coasters: This set of 4 snowflake-printed slate coasters is a must for anyone hosting holiday gatherings. The cheerful holiday print will dress up any table. Slate material allows yours guests to write their names in chalk on their coasters. Peppermint Waiter&apos;s Corkscrew: Celebrate the holidays in style with this festive waiter&apos;s corkscrew! 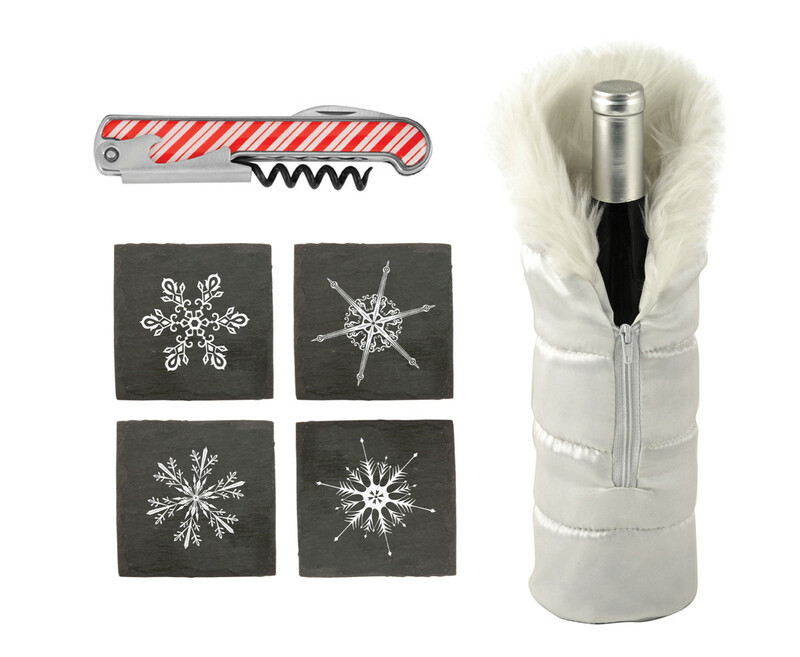 Made from stainless steel, the cheer inspired by this accessory will last long after the wine is gone. Ski Bum Bottle Jacket: Dress up your bottle in a decorative insulated bottle jacket. This novelty item is perfect for any occasion. The road of being a master chef is paved in the right kitchen tool. 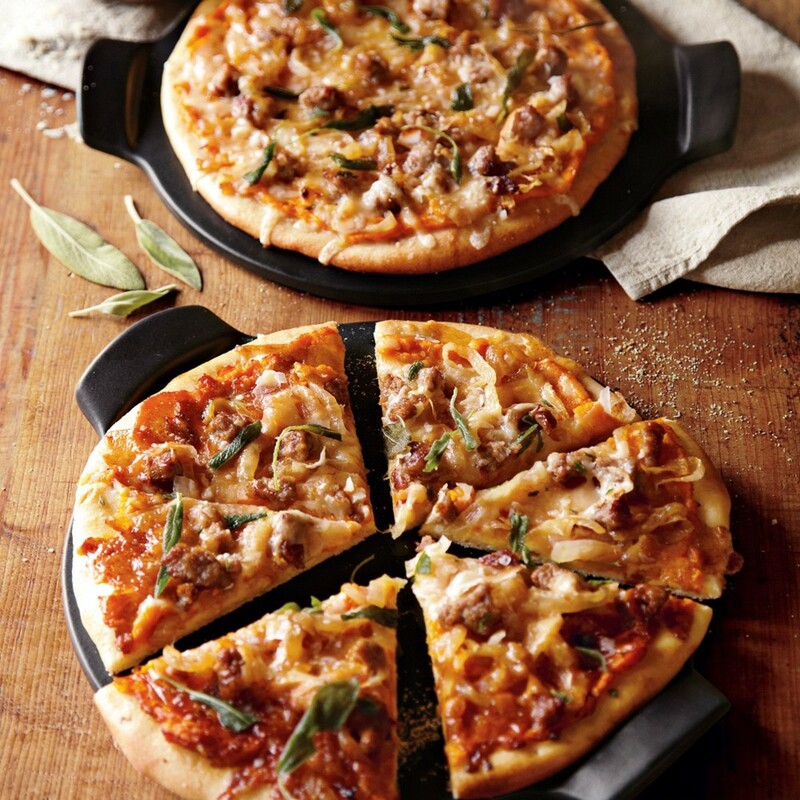 Emile Henry&apos;s 14-1/2" round flame top pizza stone is your ticket to master chefdom! Crafted in Marcigny, France of all natural Burgundy clay materials, found naturally in the region, this sleek, lightweight tool works on the grill (gas, charcoal and natural wood), in ovens (conventional and convection), and can also be used under the broiler. Heats quickly, and provides even heat distribution. Handles make it easy to transport. The glaze is micro-crazed, making for crispy well-baked crusts, and resistance to stains. Also perfect for baking breads! It also durable, withstanding high oven temperatures, and you can cut directly on the stone without damaging or scratching its surface. Cleans easily with soap or water. Dishwasher-safe. 10 year warranty against manufacturing defects. Color: Black. 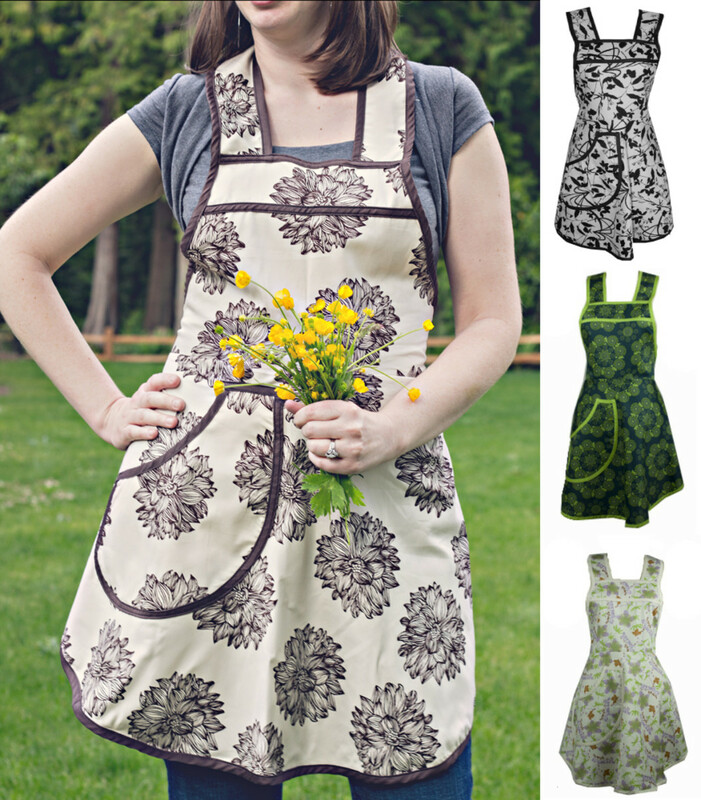 Whip up countless healthy--and delicious--recipes adorned in A Green Kitchen&apos;s eye-catching eco-chic Organic Cotton Full Apron. Brought to you by Buy Green, A Greener Kitchen helps you keep your kitchen routine green in ways beyond simply what you put on your plate. Made of fair-trade certified organic cotton, and designed by one of the USA’s few eco-friendly textile artisans to create eco-chic products for retail stores, home kitchens, bakeries, restaurants, and more. Tuck your utensils in the pocket to keep them close by, or store your iPhone to quickly look up kitchen tips online. Size: 40" L x 33" W. Goodie Box customers will receive one of four prints (pictured above). 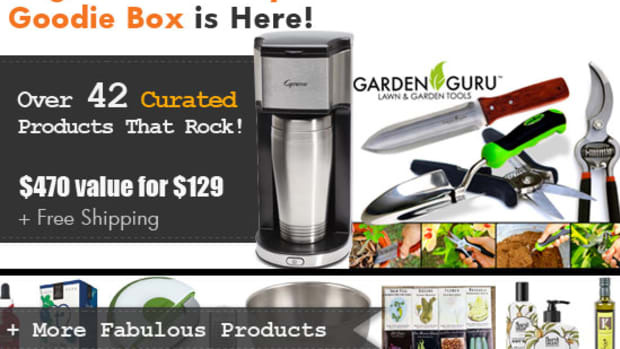 Capture the power of the sun--even during the coldest seasons--with Garden of Life&apos;s Perfect Food RAW. Packed with the power of 34 nutrient-dense, RAW, organically grown greens, sprouts and vegetable juices for the RAW ENERGY you need every day. Just think of it as RAW organic veggie juice in a bottle. 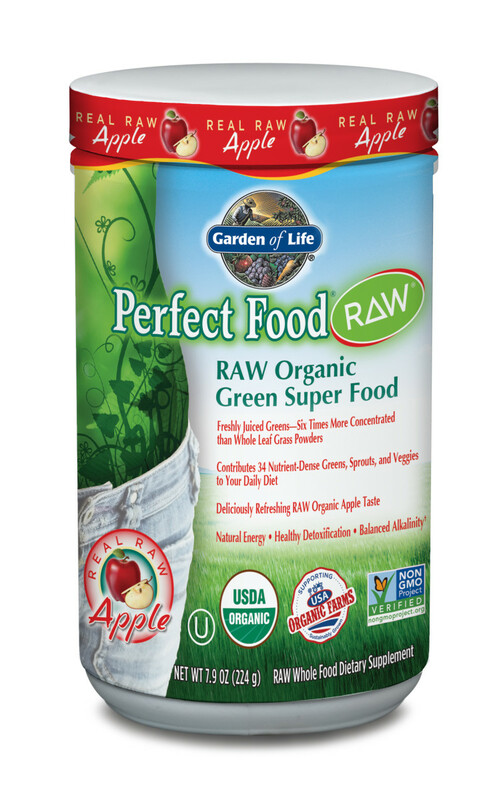 Perfect Food RAW is RAW, whole food nutrition providing naturally occurring antioxidants, enzymes, amino acids, essential fatty acids, and dozens of phytonutrients. Bursting with prebiotics, probiotics, and enzymes to support healthy digestion and nutrient absorption, Perfect Food RAW is the convenient and sensible way to get your veggie juice every day. Perfect food RAW also contains over a dozen organic raw sprouts (sprouting=the process by which you unlock the nutrient potential within a seed and is a great way to increase the digestibility of seeds, nuts and legumes while maintaining their raw nutrient density). Hemp Seed: Raw organic hemp seed has been called one of the most nutritious foods on the planet because it contains all the essential amino acids and essential fatty acids necessary to maintain a healthy human life. Sourced from family farms in Canada, TruVibe&apos;s hemp seed possess a near ideal balanced ratio of Omega 3 and Omega 6 essential fatty acids. Hemp’s rich history dates back thousands of years where it was first cultivated in the Himalayas around 4000 BC. Hemp seed is an incredible vegan source of biologically available and digestible protein. Hemp seed is also a great source of magnesium, iron, calcium, manganese, zinc, phosphorus, and copper. They can be eaten right out of the bag or added to smoothies, salads, pastas and soups. Two 8oz bags. Chia Seeds: Raw organic chia seeds are known for being remarkably high in Omega 3 (2420mg per serving), and Omega 6 (840mg per serving). TruVibe&apos;s chia is also one of the best vegan sources of Omega 3, 6, and 9 essential fatty acids on the planet. They are also a good source of antioxidants, protein, vitamins, minerals, and dietary fiber. Chia is the Mayan word for strength, and understandably so: the food played major roles of importance in the Aztec, Mayan, and Inca cultures dating back to 3500 BC, and is most well-known as the staple food on the Aztec warriors. During this time, chia seeds were considered almost magical for their ability to increase stamina and energy over long periods of time. 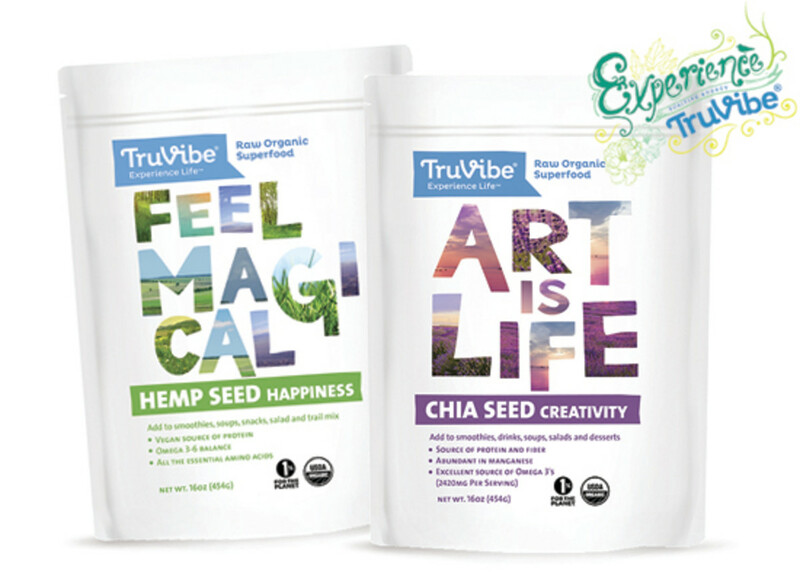 TruVibe&apos;s chia is sourced from Mexico and Argentina. Add to smoothies, drinks, soups, salads, and desserts. Two 8 ounce bags. 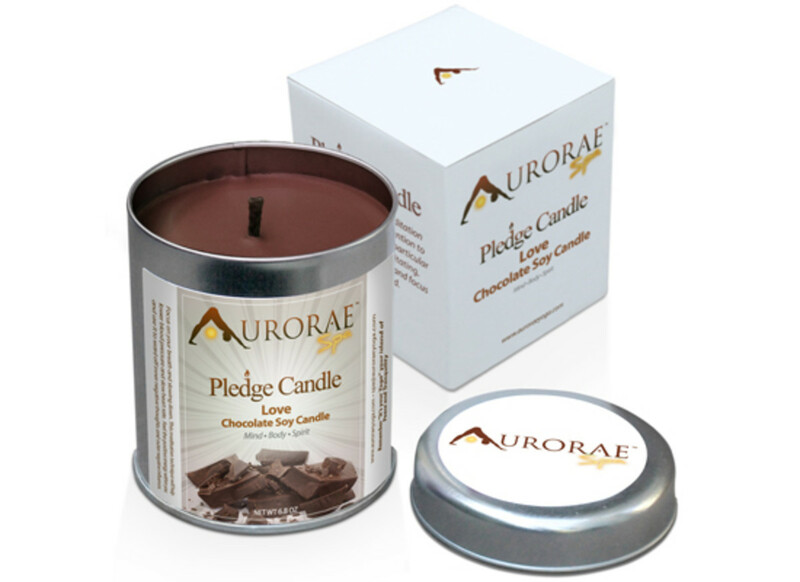 Aside from smelling downright delicious, Aurorae Yoga&apos;s collection of aromatherapy candles are intended to enhance concentration during meditation, or create a calm personal space in your bedroom, bathroom, office or living space. Light the candle, breathe, and focus with an open mind and heart. Each candle comes with a meditation to focus on; Chocolate&apos;s meditation focus is Love: Breathe in the love that surrounds us all while breathing out the love from within you. Allow yourself a sense of pleasure and carry it from you to another. Let love resonate all around, empowering you with a sense of contentment. Believe in love. MegaFood&apos;s whole food supplements are crafted from farm-fresh, local foods using a unique Slo-Food Process that delivers the wholesome nourishment from the food, and not just vitamins alone. An innovator in the whole food supplement industry for over 40 years, MegaFood takes great pride in making supplements that provide the most authentic nourishment possible, sourced from fruits, vegetables and whole grains from its Farm Fresh Farm Partners throughout the United States and Canada. For its Complex C formulation, MegaFood teamed up with Uncle Matt’s Organics, the nation’s original organic orange juice company. Both companies share a passion for sustainable farming and providing people with authentic, quality nourishment. 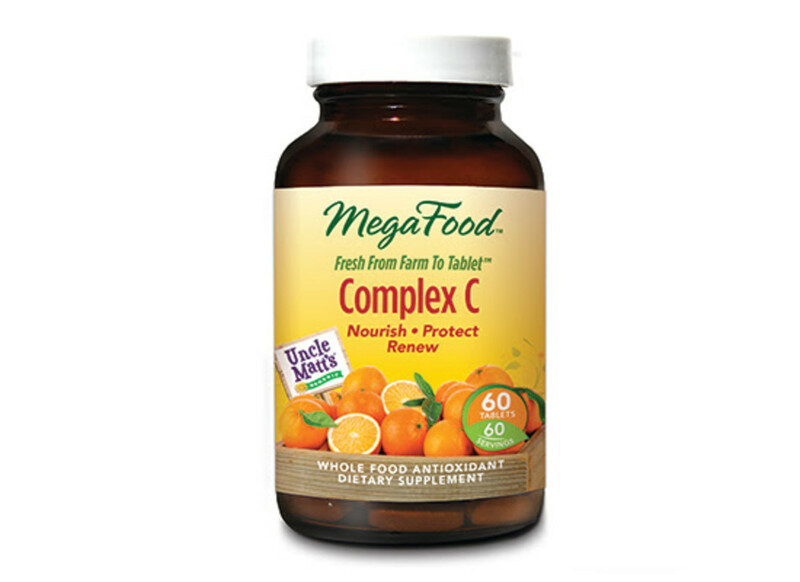 Complex C is part of a new line of “Non-GMO Project Verified” vitamin C products made with Uncle Matt&apos;s Organics&apos;s in-season, freshly harvested, 100 percent organic Navel and Hamlin oranges––free of synthetic pesticides, herbicides and fertilizers. 60 count. 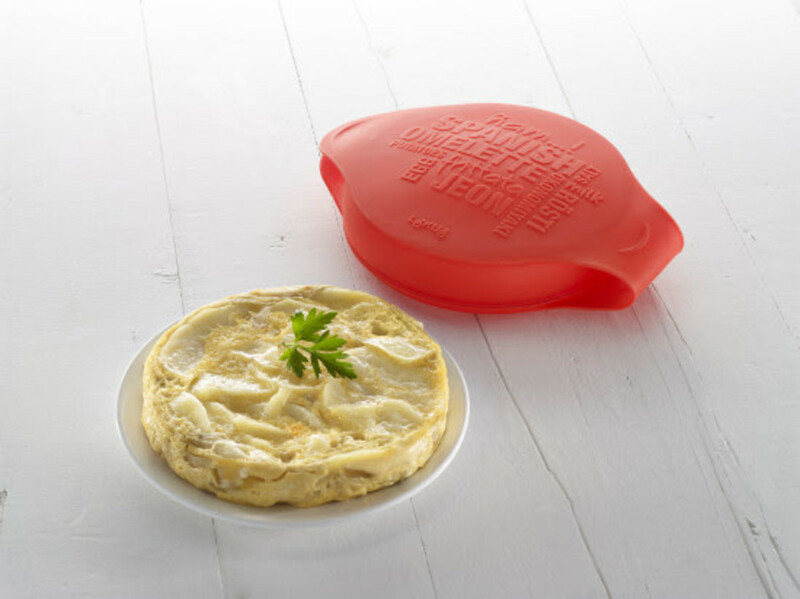 Easily master the art of the omelet with Lékué&apos;s Omelet Cooker. Make omelets in just three easy steps: beat eggs (and optionally milk), add ingredients to cooker, cook and eat. Includes a recipe booklet to quickly and simply craft a variety of omelets. The 100% platinum silicone material is resistant to high temperatures, provides non-toxic non-stick benefits, ensures no leftover residues will alter the flavor of food, plus it repels water and germs for maximum food hygiene and safety. The silicone allows you to easily fold and store the cooker without deforming it, so you save space in the kitchen, and it won&apos;t break like glass, or rust like metals. Withstands extreme temperatures: -60ºC and 220ºC. Safe to use in the oven, dishwasher, refrigerator and freezer. Color: Red. The gift of deep sleep and relaxation is priceless. 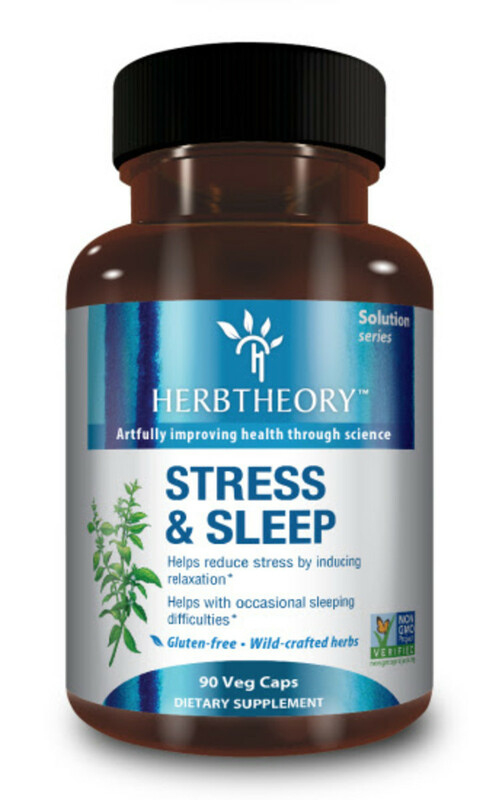 Herbtheory&apos;s Stress & Sleep formula helps reduce stress by inducing relaxation, and helps with occasional sleeping difficulties. Lemon balm has been traditionally used for anxiety, digestive problems, to promote sleep and to reduce stress. Mint is commonly used to relieve stress, induce calmness, and improve concentration and mental accuracy. Silk Tree bark, in Traditional Chinese Medicine, is used for its sedating and spirit-calming properties; it is known as the "happiness herb" and was first documented during the second century. Jujube nourishes the blood and soothes the nerves, making it excellent for reducing stress and supporting healthy sleep. Vegan, gluten-free, and non-GMO. Made using wild-crafted herbs. The love affair between chocolate and hazelnut is arguably as epic as that of Romeo and Juliet--and makes for some decadent holiday treats. TIME© Magazine recently named Nocciolata the #1 organic chocolate hazelnut spread for taste and nutritional value. Maker, Rigoni di Asiago, believes the key of this success starts with quality: Nocciolata is made only with the highest quality organic and non-GMO ingredients. Ingredients are farmed without polluting the environment and with minimal Co2 emissions. Nocciolata is gluten-free and contains no hydrogenated oils or artificial flavors. 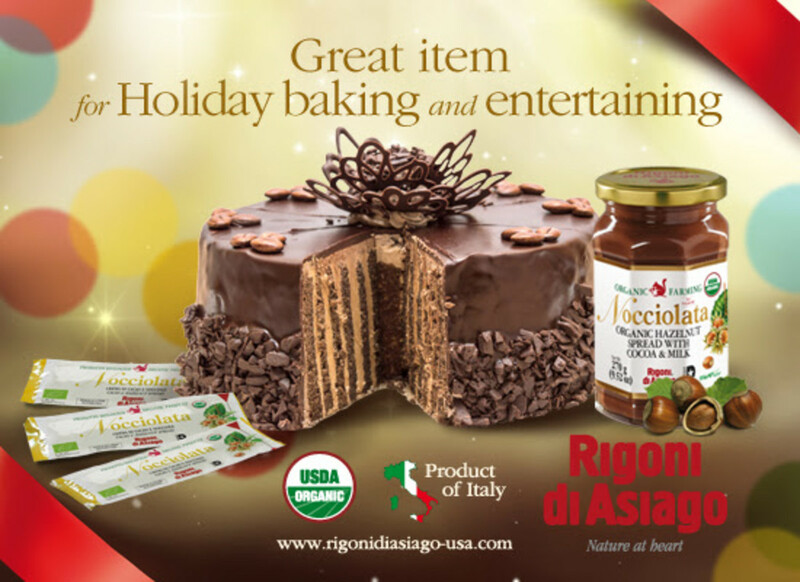 Founded in 1923, Rigoni di Asiago is located in Italy, north of Venice. The area is surrounded by nature where the Rigoni’s Family has always lived and worked. These sweet and savory snacks make healthy--and delicious--stocking stuffers and holiday treats. 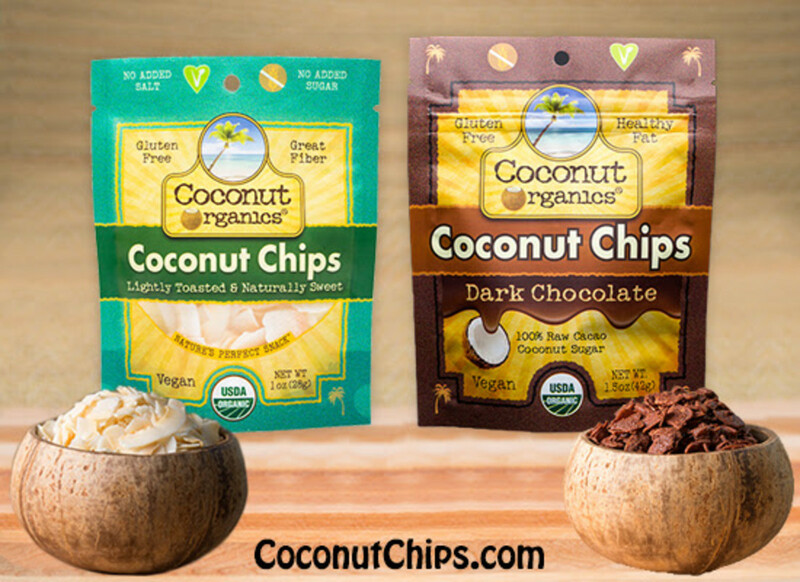 Coconut Organics® is proud to introduce its newest organic coconut products: Toasted Organic Coconut Chips, and Raw Chocolate Organic Coconut Chips. Toasted Organic Coconut Chips areade from mature organic coconuts, toasted to perfection. Nothing else is added. No sugar. No salt. Just naturally sweet, golden, crunchy coconut chips. A great source of energy and healthy fats. Can be eaten on the go, or added to your favorite recipes. There is a reason the brand call this Nature&apos;s Perfect Snack™. Made for the serious chocolate lover, Raw Chocolate Organic Coconut Chips are highly nutritious, decadent and satisfying! Features the richness of raw-chocolate-covered coconut chips with coconut sugar, pure vanilla and high-mineral Celtic Sea Salt®. 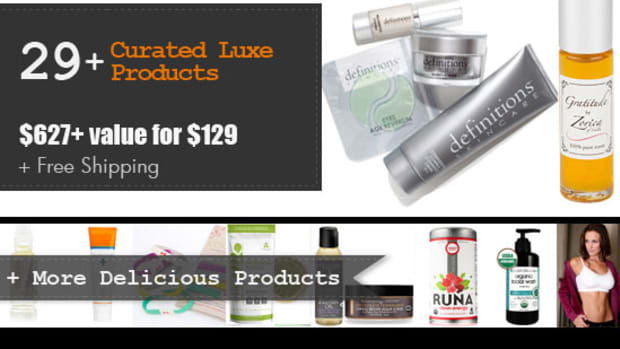 This antioxidant-rich product is as pure as it gets! 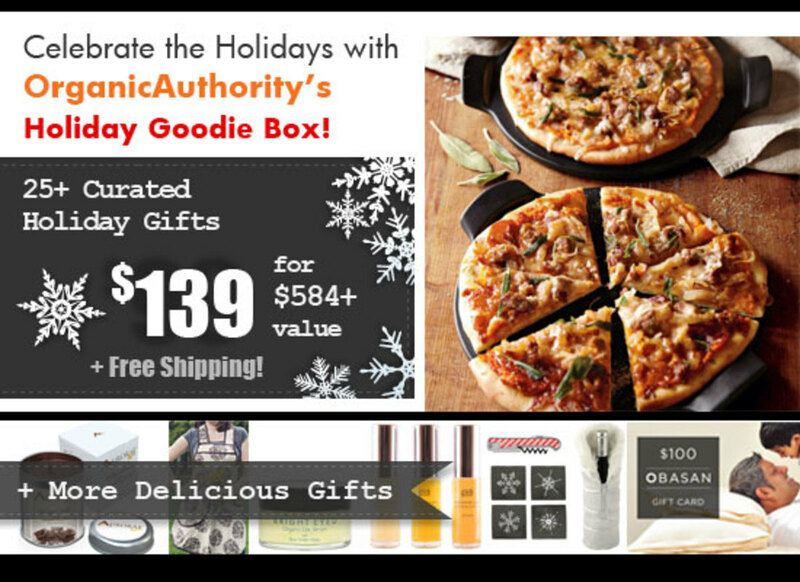 Total value of the Organic Authority 2014 Holiday Goodie Box: $584.40. Sale Price: $139.00 + free shipping! That’s a 77% discount! The box goes on sale Friday November 28th at 8 o’clock am Pacific Time.Set your timers and mark your calendars–these will sell out fast. Buy one, two or three, for yourself. This offer is only available to the first 50 buyers, when we are out, we are out! 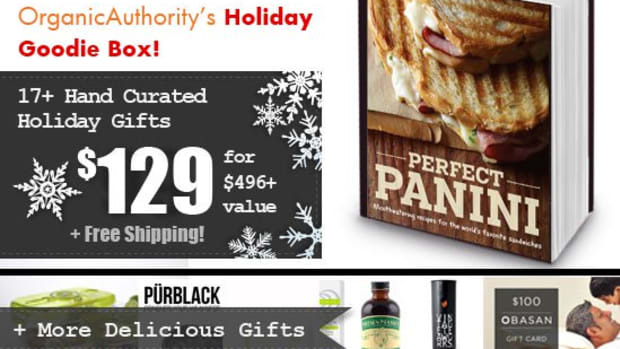 Your Holiday Survival Kit Goodie Box is Here!